Sadhaka Studio: The Fearless Zombie Hunters' Candy pin-up by Adriana Rodríguez. The Fearless Zombie Hunters' Candy pin-up by Adriana Rodríguez. 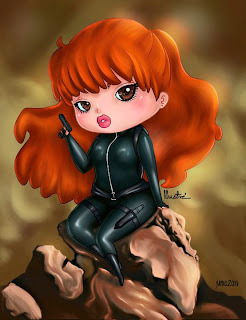 Check out chibi Candy from The Fearless Zombie Hunters by Adriana Rodríguez. From the upcoming Sadhaka Studio pin-up book, available at Comic Con 2011.